“Be positive” is just what people say when they want to console their friends or give them a ray of hope. But scientists have somehow managed to change the concept it giving these words a deeper meaning. It is not only being happy or displaying such kind of attitude. It actually can be valuable to one’s life if they know how and when exactly to have such an attitude. It helps to build up the skills, improves health and as a result helps to increase the efficiency of the work. For a moment if we focus on the time when we were happy and we were sad, we will realize that out ways of communication and handling ourselves were better when we were happy and frustrating when we were sad. Having positivity opens up our minds for new opportunities and brings in a sense of new hope. Likewise, it gets difficult to deal with situations or problem-solving when our brain already has negative thoughts. Barbara Fredrickson is a researcher who loves to deal with the positive psychology of the people. He tells the world about what effect does such kind of positive and negative thoughts have on human mind. An experiment was conducted by Barbara in which people were divided into groups and each group was shown different clips of either positive or negative emotions. When told to write about the situation, it was seen that people with positive clips had more enthusiasm and energy to write than those who got depressed by the negative clips. Building up skills for work is necessary any field of work. But if a person remains frustrated by the negative thoughts, he cannot survive in this world. 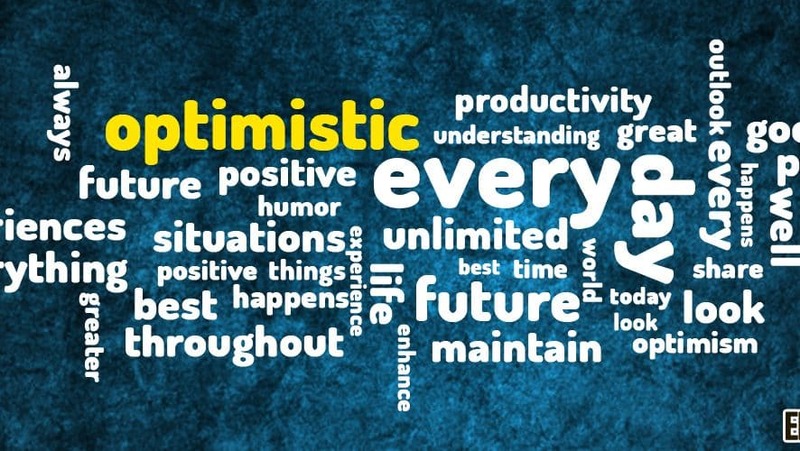 As mentioned, it only by being optimistic that one can increase the opportunities in his life and make it worth living. Yoga and meditation– Researchers have found that people who do yoga or meditation even for an hour regularly have more positive emotions in them than those who do not. Such people have more concentration power and thus can build up more skills easily. This just requires few minutes from daily busy routine of a person and can definitely make each day filled with energy. Bullet Activities – A person can get frustrated when they a monotonous life filled with either work or studies and thus negative thoughts begin. Some recreational activities are important in one’s life in order to maintain a balance and thus have a feeling of positivity. Writings- It might sound weird but writing about our own feelings can be one way to reduce stress. Also, writing about positivity too influences oneself and creates an open mind. In order to be successful in life, it is essential to always be filled with positive feelings. It helps to manage our time and work properly and make each day worth living.